The forms below are using with ACLEDA Bank Lao's products & services. 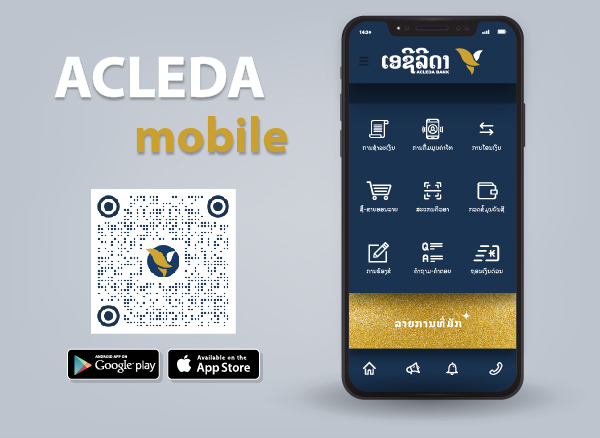 Please print any form you wish below, then complete the required information in the form and send it to ACLEDA Bank Lao Ltd. nearest to you. The forms below can be used unless they are checked and authorised by ACLEDA Bank Lao Ltd.